HERE AT LAST! 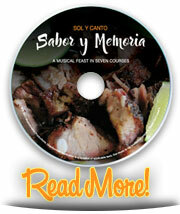 Sabor y Memoria, a multi-sensory feast of images and music from Sol y Canto and a string quartet! Click on the image above to learn more. Latin roots music to change the world; Passionate, poetic, playful and honest. We'd also like to let you know about another new audiobook we've created, just released by Live Oak Media. ESQUIVEL! SPACE-AGE SOUND ARTIST tells the story of Juan García Esquivel, The Mexican lounge music composer who rose to international fame in the 1950's. Narrated by Brian, with a great soundtrack featuring singing by Rosi and Brian. We'll have the video up soon. As always, we have some upcoming shows that we'd like to tell you about. Join us! ¡Unete a nosotros! Check out our CONCERT CALENDAR, and read our mission statement and biography on our ABOUT US page and get to know Sol y Canto, or navigate around to see videos and hear music. 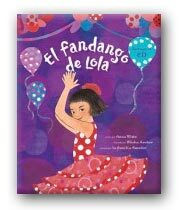 Hello Ocean/Hola Mar, by Pam Muñoz Ryan, is a bilingual account of a little girl's day at the beach and how it's experienced through her five senses. Featuring gorgeous illustrations by Mark Astrella and narration by our sixteen year-old daughter, Sonia, her first solo audiobook. "Sonia Amador speaks with the wonder of a girl who is exploring the beach she loves so much. On both the English and Spanish tracks her enunciation is distinct. With deliberate pacing she lets listeners sense each of the girl's experiences throughout her beach day." For more audio books click here.